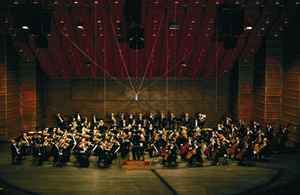 Established in 1765 under the name Det Musicalske Selskab (The Musical Society), it later changed its name to Musikselskabet Harmonien and in 1986 to Bergen Filharmoniske Orkester. It is often referred to as "Harmonien" (the Harmony) by Bergen's citizens. Nominated for Spellemannprisen (Norwegian Grammy) for best classical album of 2013 with "Svendsen - Orchestral Works vol. 3", released with Marianne Thorsen and Neeme Järvi.